Last edited by MilkaSchokoHase87; 09-16-2018 at 10:05 PM. 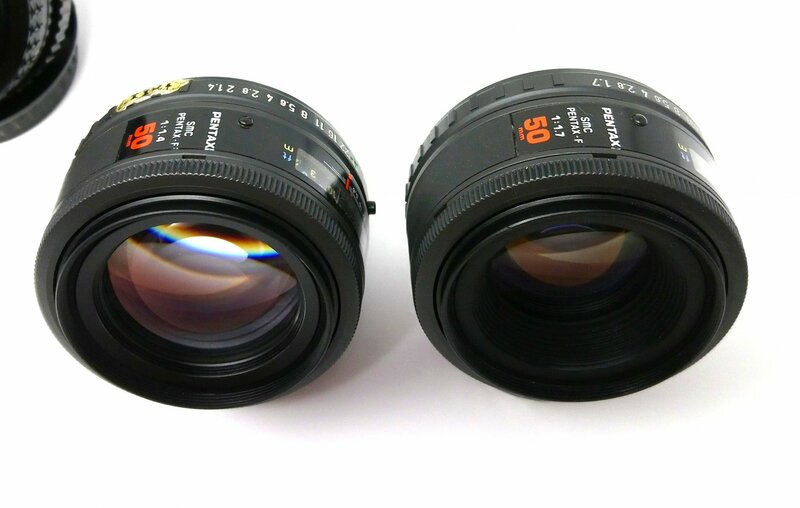 Of these, the Auto-Takumar 55mm 1.8 zebra and Super Takumar 50mm 1.4 eight element lenses are must haves. I finally finished my collection of All 50\55mm Film era prime lenses. 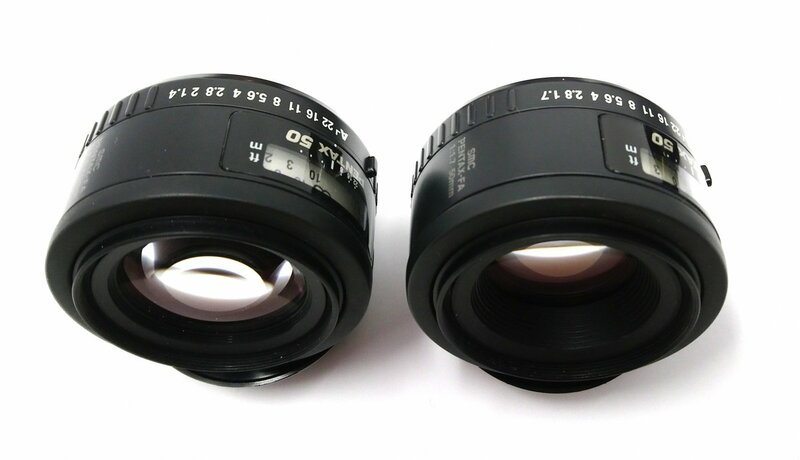 this is for Pentax only lenses? IT is because the macros themselves have a great Image quality. Its just interesting which macro is the Best. But it is not necessary to compare a macro to a standard prime, I think. What is your definition of best? Best results in sharpness, contrast and abberations. My idea was to test it in Lab conditions with a test chart an in field. Close focus and infinity. Minimum and maximum aperture as well as sweet Spot. I have most of what is there except for the 1:1.2s (I have a Rikenon 55 1.2 instead). Also tak 50s and 55s including the 8 element. In general my go-to one is the A 50 1.7. A dependable workhorse when stopped down a stop or more and just that little bit of art wide open. And not so irreplaceable should something happen to it in the field. If you do objective comparisons of bokeh etc I think you be disappointed in how similar they all are! Apart from the obvious difference of widest aperture. I will be interested in how sharp the 1.4s are when stopped down a bit in comparison with the 1.7s. My gut feeling is they are not quite as clinically sharp at say f4. I use my M-1.7 quite often. I find it sharp enough and aberration issues are easily corrected in PP, but I rarely have big issues with aberration. 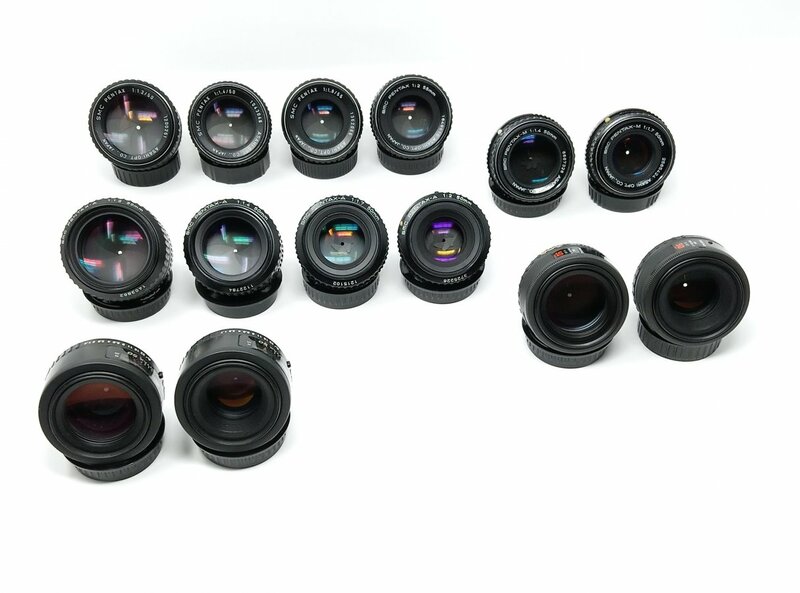 All Pentax film era 50/55 lenses? I think not. 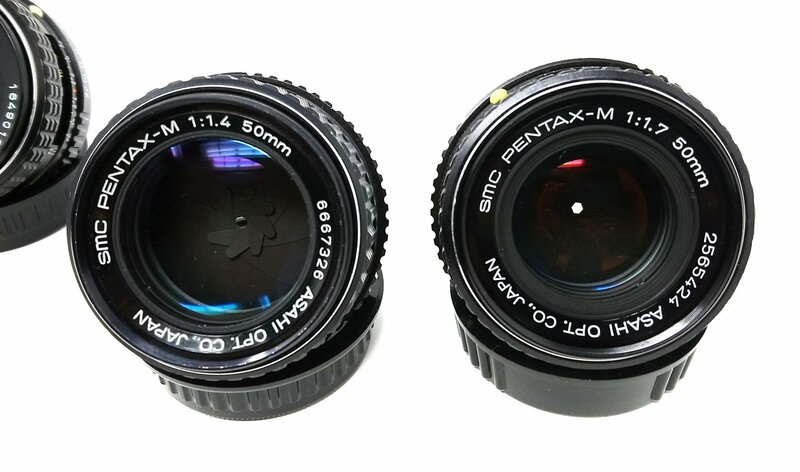 Where is the Pentax SMC 55/4 or Super Takumar 55/3.5?